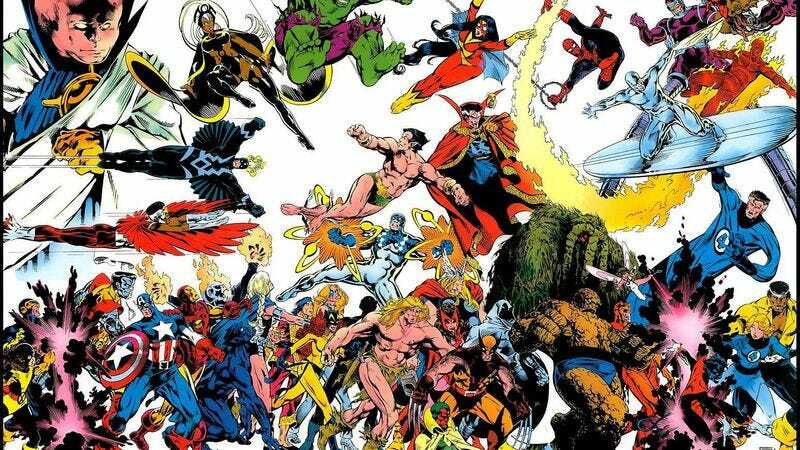 The original Marvel Universe, created more than five decades ago, is coming to a close. Newsarama reports that at a live Secret Wars Kick-Off press event in New York, Marvel Editor-in-Chief Axel Alonso and Senior Vice President of Publishing and Executive Editor Tom Brevoort said that “the upcoming eight-issue limited series Secret Wars will represent the end of both the Marvel Universe and the Ultimate Universe.” During Secret Wars, the Marvel Universe and Ultimate Universe will reportedly “smash together,” so that by the time of the Secret Wars mini-series, only bits and pieces from each will survive, resulting in a newly merged comics universe known as Battleworld. “Once we hit Secret Wars #1, there is no Marvel Universe, Ultimate Universe, or any other. It’s all Battleworld,” Brevoort said.